The Sony Xperia Z Ultra is not only an enormous 6.4″ beast of a phablet but it also belongs to a very exclusive group of devices that have the Snapdragon 800 chipset up and running. We got our hands on the device once again and this time we even managed to run a few synthetic benchmarks and see how much of a performance update you are actually getting. The device should be very zippy courtesy of four Krait 400 cores clocked way up at 2.2 GHz and 2 gigs of RAM. The graphics are dealt with by the latest Adreno 330 GPU, which we’ve heard does a pretty good job. So let’s look at the numbers. With the hardware specifics out of the way the only thing left to do is analyze the scores. First comes BenchmarkPi, which gives a premium on per-core calculations performance. Here the Sony Xperia Z Ultra was a point shy of tying the first spot – an impressive result indeed, but not quite the one we expected. Geekbench 2 is a CPU and memory benchmark and is a pretty good place to compare devices running on different platforms. Here, the Xperia Z Ultra scored an impressive victory over its Android rivals, while the Apple iPhone 5 simply got blown out of the water. And finally AnTuTu, a compound benchmark. The Sony Xperia Z Ultra totally wipes the floor with the opposition once again, beating the previous best score by nearly 30%. These results are really the most impressive we’ve seen on a production device even if the CPU-only test turned out surprisingly low (we’ll be redoing that with another unit when we get the smartphone in our office). 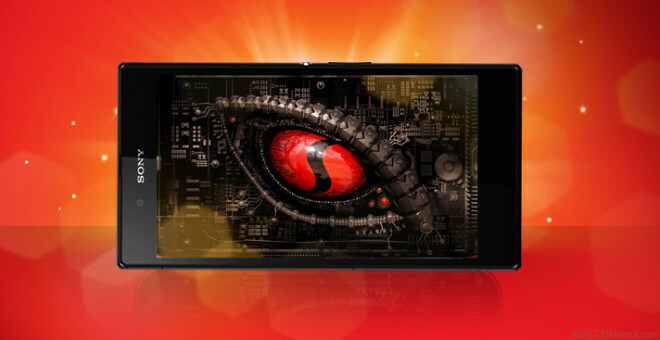 The new Snapdragon 800 chipset is certainly shaping up to be the beast everyone expected it to become and will most probably be the yardstick against which all other chipsets will be measured for at least another six months (that’s ages in smartphone time).